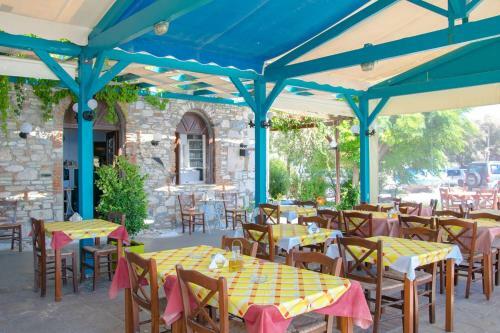 Bed and Breakfast Tarsanas in Pythagóreio is a B&B with 7 Rooms. 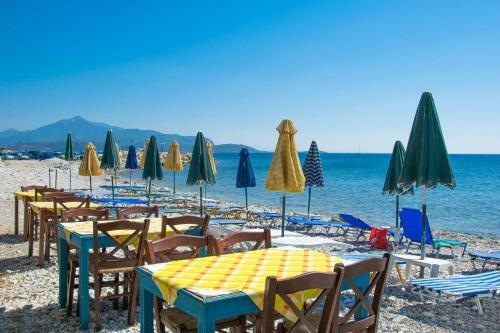 Stone-built Hotel Tarsanas is located on the beachfront of scenic Pythagorion in Samos. 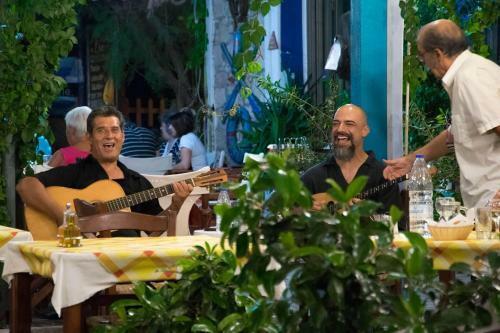 It features a traditional restaurant and air-conditioned studios with a balcony overlooking the village or the Aegean Sea. A kitchenette with a mini fridge and cooking hobs is provided in all studios at the Tarsanas. Each has a private bathroom with shower. 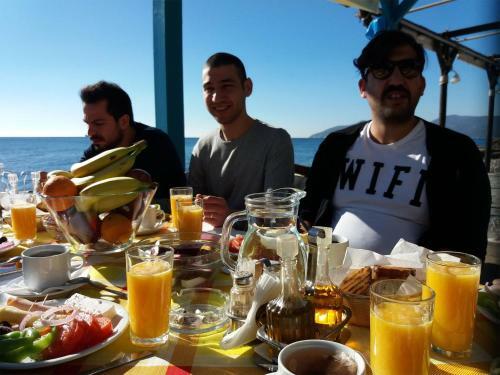 Breakfast is provided in the restaurant area, right by the sea. 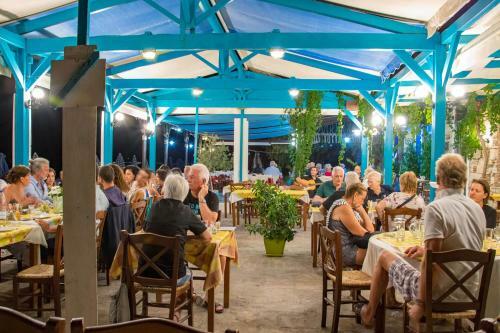 Mediterranean and local dishes are served during lunch and dinner. Guests can have drinks ...and local spirits at the bar. 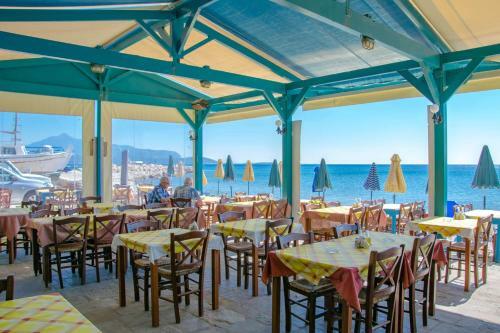 Fish taverns, seafront cafés and shops are within a 3-minute walk from the hotel. 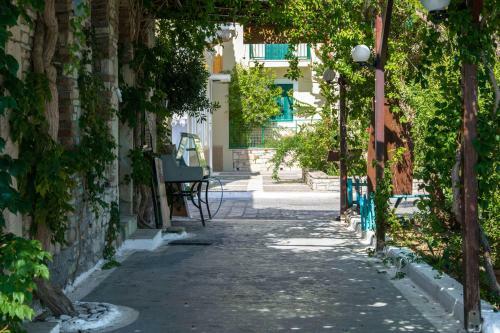 Pythagorion Museum and Lykourgos Castle are a 5-minute walk away. 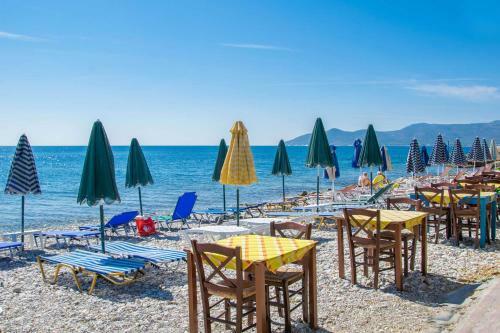 Samos Airport is within 3 km. Hotel staff can arrange car and bicycle rental. 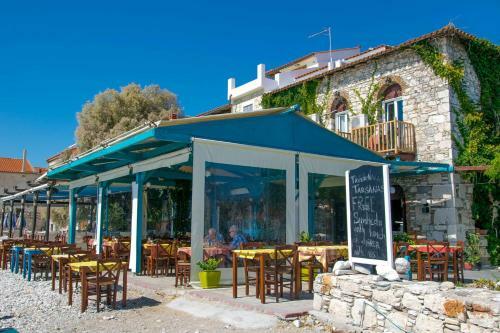 Stone-built Hotel Tarsanas is located on the beachfront of scenic Pythagorion in Samos. 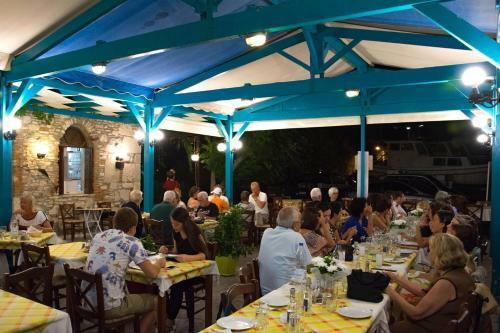 It features a traditional restaurant and air-conditioned studi...os with a balcony overlooking the village or the Aegean Sea. A kitchenette with a mini fridge and cooking hobs is provided in all studios at the Tarsanas. Each has a private bathroom with shower. 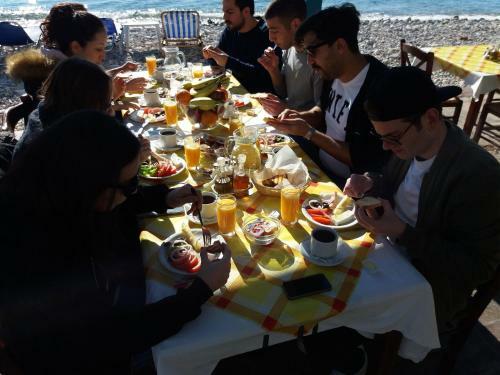 Breakfast is provided in the restaurant area, right by the sea. 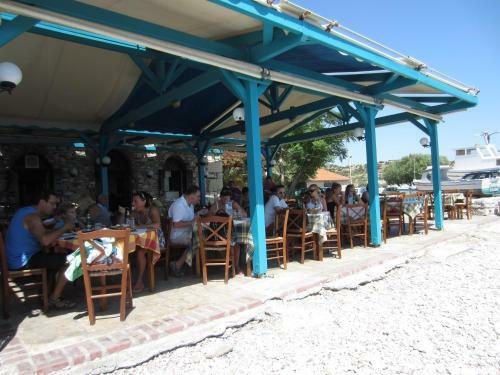 Mediterranean and local dishes are served during lunch and dinner. Guests can have drinks and local spirits at the bar. 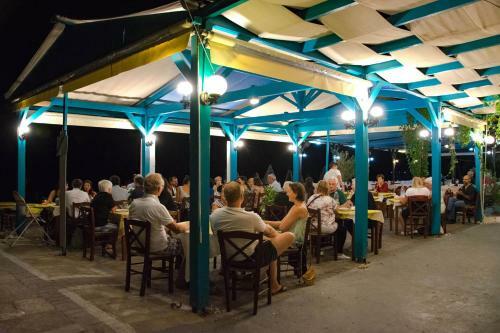 Fish taverns, seafront cafés and shops are within a 3-minute walk from the hotel. 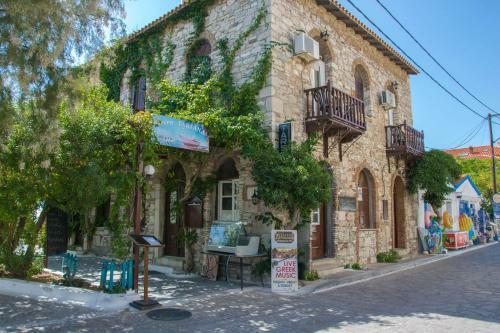 Pythagorion Museum and Lykourgos Castle are a 5-minute walk away. 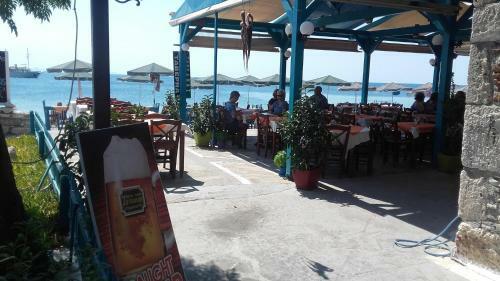 Samos Airport is within 3 km. Hotel staff can arrange car and bicycle rental. 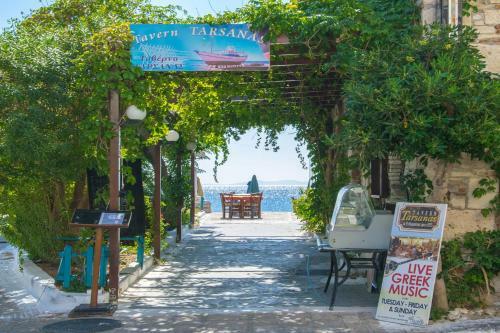 When would you like to stay at Hotel Tarsanas? Children and extra beds One child under 2 years stays free of charge in a child's cot/crib. 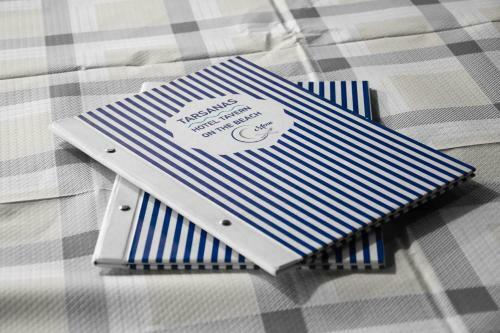 One child from 2 to 12 years is charged EUR 5 per person per night in an extra bed. One older child or adult is charged EUR 10 per person per night in an extra bed. The maximum number of extra beds/children's cots permitted in a room is 1. Supplements are not calculated automatically in the total costs and will have to be paid for separately when checking out. Any type of extra bed or child's cot/crib is upon request and needs to be confirmed by the innkeeper. Please note that lunch is served throughout the afternoon, while dinner is served from 18.00 to 20.30. Half board menu for dinner includes: a starter, a salad (choice out of 4 different kinds), a main dish (choice out of 7), a dessert (choice out of 3). Beverages are not included.